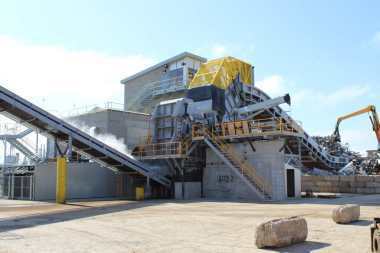 Metso has received an order to supply its first Metso LindemannTM EtaRipTM pre-shredder in North America. The customer, Milliron Iron & Metal, chose Metso's solution due to the robust design and performance of the machine, combined with Metso's service and support capabilities in North America. The solution fulfills restrictive environmental and commercial regulations and it has already proven its performance in many countries globally. "We are excited to have secured our first EtaRip order in North America. The unit will be installed in the fall of 2018. Once the unit has been commissioned, we are confident that our customer will be pleased for their decision. We also look forward to being able to demonstrate the benefits of this product to a new audience," says Keith Carroll, Vice President, Metal Recycling Americas.